Calling All Wild Women of the West! DISCIPLES WOMEN MISSION PROJECT 2019 Shelter Supplies for Women and Children We encourage Disciple Women’s groups to adopt a local shelter. Reach out to the staff of the shelter. Ask them what they need and then commence to providing what was requested. Please share with the Disciples Women office what you are doing and if you post about it on social media don’t forget the tag it with #DWConnect so we can all celebrate and support the work. Let’s make 3,000 finger labyrinths for GA 2019! Would you like to help make finger labyrinths to be given away at GA 2019? All the details, patterns, and instructions are included on pdf files…just follow the links below. When you are finished, write your first name, your congregation, and your city and state on the tags and staple one to each labyrinth. 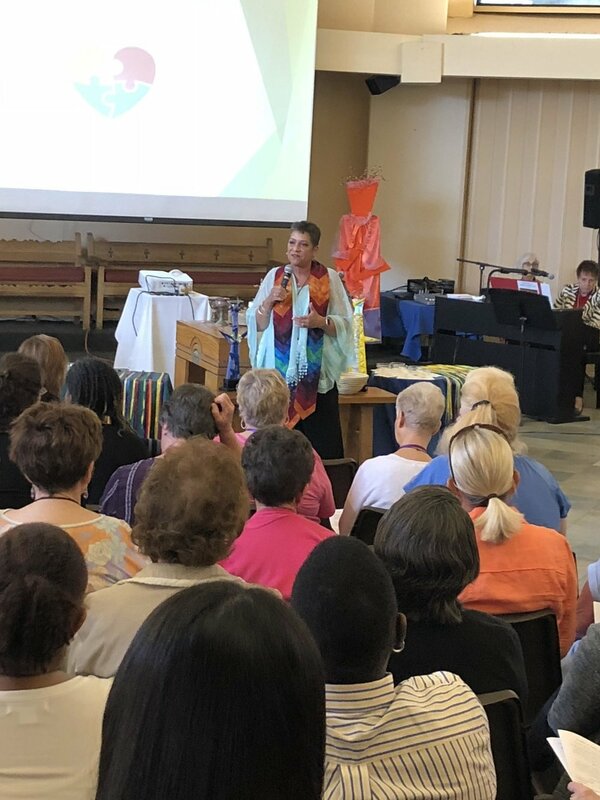 This will provide an opportunity for GA attendees to feel the far-reaching witness of Disciples Women. Please send to: First Christian Church, 2500 University Avenue, Des Moines, IA 50311, Attention: Wende. A Big Thank You to FCC, Des Moines for offering to hold the shipments at their church for us to pick up at General Assembly! (You can also ship them to: Disciples Women Labyrinths, 1099 N Meridian Street, Suite 700, Indianapolis, IN 46204) by June 1, 2019.